We have just returned from an enjoyable holiday in Newfoundland and Nova Scotia. 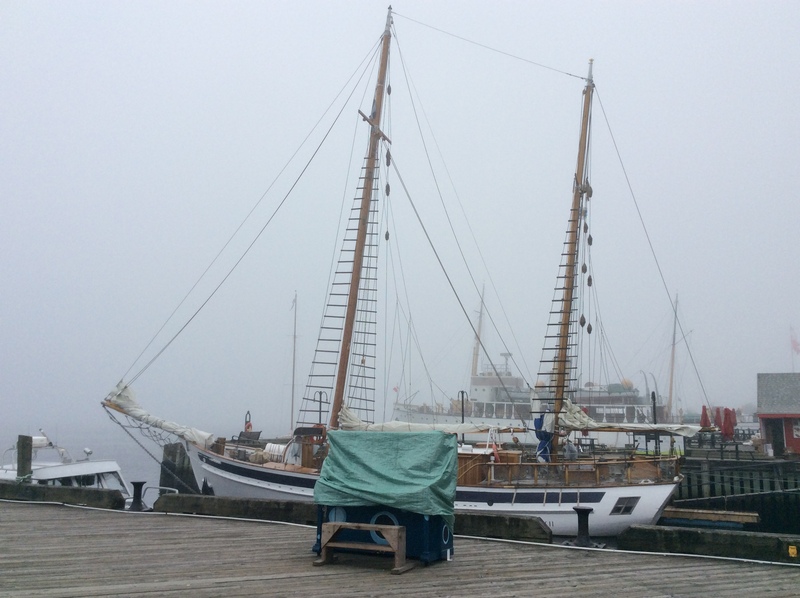 Walking on the Halifax waterfront, I spotted this piano, which is covered because of fog and drizzle or RDF (rain, drizzle and fog). 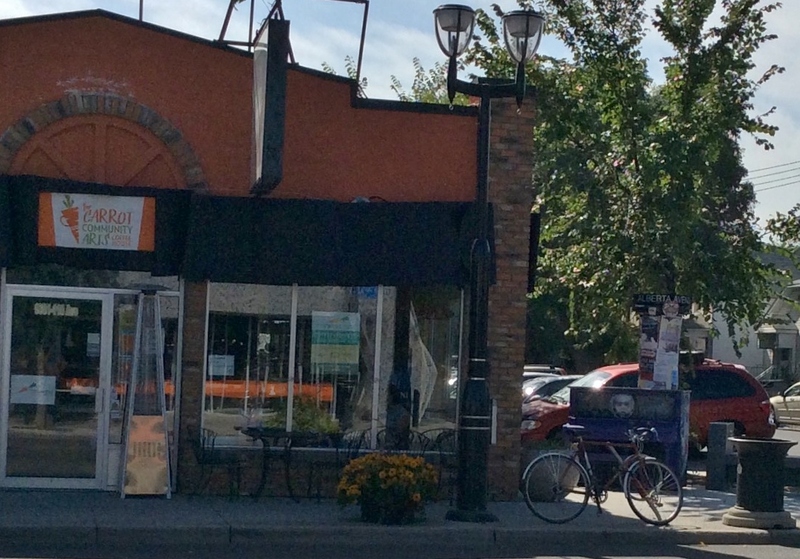 It reminded me of home and the piano which sits in front of the Carrot Café. 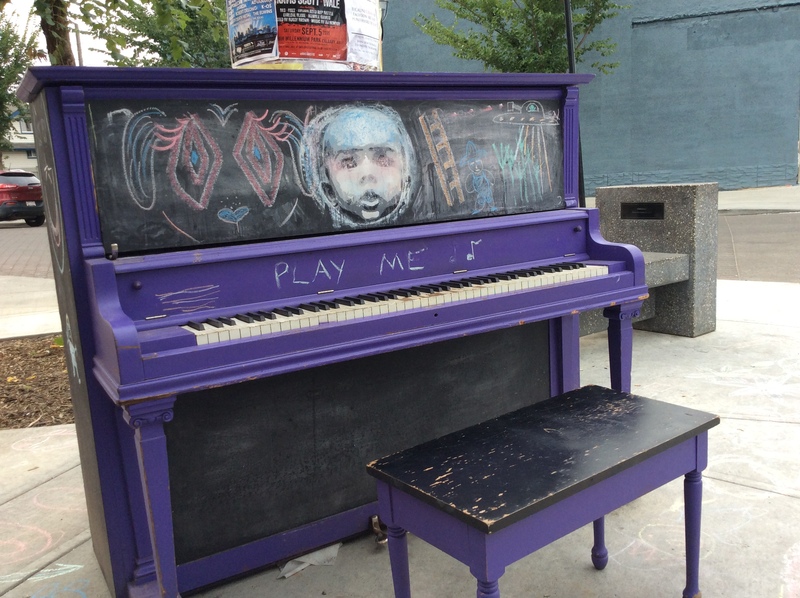 Pianos in public spaces for people to play seems to have caught on across the Country. 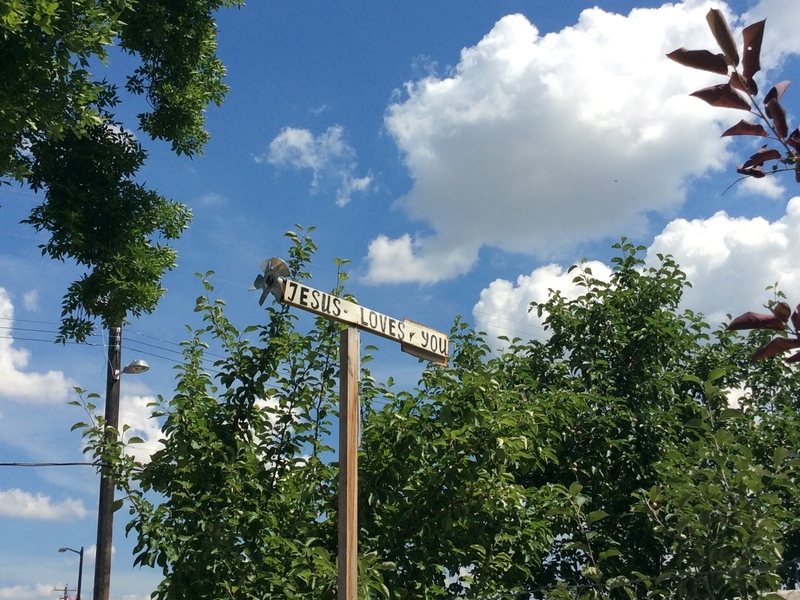 I saw this sign as I was walking on Alberta Avenue. It made me think of the beautiful writing of the Beatitudes and inspired me to write this piece.